Some are hostile to Lincoln personally. One of them dubs him a Negroid dictator: “Abraham Africanus.” Another accuses him of shifting his positions for the sake of expediency. Those (slave-owners) who already have a great deal want to gain even more at the expense of others. If slavery is outlawed, they argue, then black men will no longer “know their place” and even dare to marry white women. But by the end of the movie, it is Abraham Lincoln who has the final word. Through diplomacy and backroom dealings (trading political offices for votes) he wins passage of the anti-slavery amendment. Watching Lincoln, you realize it is not political parties that make history. It is the mentalities of men and women who follow their hearts to bringing liberty–or slavery–to others. Star Trek: The Next Generation introduced the crew of the USS Enterprise to a new, chilling adversary: The Borg. A half-organic, half-machine race of ruthless conquerors, the Borg travel through space seeking new peoples to assimilate–or destroy. The same mindset can be found in such Islamic would-be conquerors as Al Qaeda, the Taliban and the Islamic State of Iraq and the Levant (ISIL). But this mindset is not confined to only these terror-organizations. It appears to govern the behavior of Islamics generally. From 5% on, they exercise an inordinate influence in proportion to their percentage of the population. They will push for the introduction of halal (clean by Islamic standards) food, thereby securing food preparation jobs for Muslims. At 5%, they work to get the ruling government to allow them to rule themselves (within their ghettos) under Sharia (Islamic law). The ultimate goal of Islamists is to establish Sharia law over the entire world–enforcing it on Muslims and non-Muslims alike. Unfortunately, peace is never achieved, since the most radical Muslims states wage war on less radical members. Among the reasons for this: The age-old ethnic conflicts between majority Sunni and minority Shiite Muslims, which are now on lethal display in Iraq and Syria. In assessing the dangers the United States faces as it plunges into yet further warfare against Iraq and now Syria, there is a warning that should be kept foremost in mind. In 1845, Andrew Jackson, seventh President of the United States from 1829 to 1837, lay close to death. “What act of my administration will be most severely condemned by future Americans?” he asked his doctor. That act had destroyed the bank, which Jackson had believed a source of political corruption. John C. Calhoun had once been Vice President under Jackson and later a United States Senator from South Carolina. His fiery rhetoric and radical theories of “nullification” played a major part in bringing on the Civil War (1861-1865). Calhoun was an outspoken supporter of slavery, which he declared to be a “positive good” rather than a “necessary evil.” He supported states’ rights and nullification–by which states could declare null and void any federal laws they disliked and deemed unconstitutional. Historians have not condemned Jackson for failing to hang the senator. But perhaps he was right-–and perhaps he should have hanged Calhoun. It might have prevented the Civil War-–or at least delayed its coming. Jackson died in 1845-–16 years before the Civil War erupted. The resulting carnage destroyed as many as 620,000 lives. More Americans died in that war than have been killed in all the major wars fought by the United States since. When it ended, America was reinvented as a new, unified nation–-and one where slavery was now banned by the 13th Amendment to the United States Constitution. But within days of Barack Obama’s decisive winning of another four years as President, residents across the country have raised the call of treason. They have done so by filing secession petitions to the Obama administration’s “We the People” program, which is featured on the White House website. And how has the Obama administration responded? By backing down when agents of the Federal Bureau of Land Management (BLM) were threatened by armed militia members and states’ right protesters. And Robert E. Lee—the defeated South’s greatest general—spent the last five years of his life trying to put the Civil War behind him and persuade his fellow Southerners to accept their place in the Union. President Obama could have chosen a different approach to dealing with armed militia groups–before treasonous talk become treasonous acts. That of Andrew Jackson, Abraham Lincoln–and William Tecumseh Sherman. Sherman, whose army cut a swath of destruction through the South in 1864, said it best. Speaking of the Southern Confederacy, he advised: “They cannot be made to love us, but they may be made to fear us. And Obama could have similarly warned these 21st-century traitors that he was prepared to meet treason with the full force of the United States Army, Navy, Air Force and Marines. By failing to do so, he has almost certainly encouraged Right-wing secessionists to even greater acts of treason and violence. Scotland’s failed vote to withdraw from the United Kingdom has stirred fresh hopes in millions of Americans who want to see their states leave the Union. Almost a quarter of Americans would like to see their states secede from the Union, a new Reuters/Ipsos poll found. 53.3 % strongly opposed it. Secessionist sentiment is highest among Republicans and those who live in rural Western states. Democrats and Northerners take a far dimmer view. Some of those polled blamed Washington gridlock for wanting to see their states go their own way. Residents in more than 40 states have filed secession petitions to the Obama administration’s “We the People” program, which is featured on the White House website. But by far the biggest reason for the rage to secede: Thousands–if not millions–of Americans can’t stomach the thought of a moderately-liberal black man winning a second term as President. Texas GOP official Peter Morrison, treasurer of the Hardin County Republican party, recently called for an “amicable divorce” of Texas from the United States. “Why should Vermont and Texas live under the same government?” he wrote in an Op-Ed in a Tea Party newsletter. So far, more than 84,000 people have signed the Texas petition and that number is going up. And in a post on his Facebook page which has now been removed, Morrison wrote: “We must contest every single inch of ground and delay the baby-murdering, tax-raising socialists at every opportunity. Petitions to strip citizenship from–and then deport–those signing petitions to secede have also been filed with the White House website. President Obama would do well to review how Andrew Jackson, America’s seventh President from 1829 to 1837, reacted to threats of secession. The friend warned him that South Carolina’s fire-eaters believed “the Army and Navy aren’t big enough to collect a penny” of Federal duties. On the night of September 19, an Iraq war veteran, Omar Gonzales, jumped the White House fence, ran more than 70 yards across the north lawn, and sprinted just past the north portico White House doors. Gonzalez appeared unarmed as he ran across the lawn–possibly why agents didn’t shoot him or release their service dogs to detain him. But in his pants pocket he had a small folding knife with a three-and-onoe-half inch serrated blade when he was apprehended. But the blunt truth is that many of the problems now plaguing the U.S. Secret Service were on full display as early as 2009. That was when well-known investigative reporter Ronald Kessler published his latest book, In the President’s Secret Service. Kessler had previously pubilshed books outlining the inner workings of the White House, the CIA and the FBI. Some agents are so overweight they can’t meet the rigorous demands of the job. As a result, they pose a danger to the people they’re supposed to be guarding. With the World Trade Center and Pentagon in flames, and the White House seemingly next in line as a target, this was the sum total of protection offered White House staffers by the agency considered the elite in Federal law enforcement. Gonzalez appeared unarmed as he ran across the lawn–possibly one reason why Secret Service agents didn’t shoot him or release their service dogs to detain him. But he had a small folding knife with a three-and-one-half-inch serrated blade when he was apprehended. In July, he had been arrested in Wythe County, Virginia, and charged with possession of a shotgun and a sniper rifle. He was also charged with eluding and evading arrest. In addition, police found that Gonzalez had a map with the White House circled. Then, in late August, Gonzalez was stopped while walking along the White House fence. He was carrying a hatchet and allowed police to search his car, where they found camping gear and two dogs. He was not arrested then. Why was he even allowed outside a jail cell? Secret Service agents standing post. Rep. Pete King (R-N.Y.) has called for a “full investigation” of the incident. King said officers should have acted more quickly, as the man could have had a body bomb or vest. He also argued that given the tensions between the United States and the Islamic State of Iraq and Syria (ISIS) the Secret Service should have been especially alert. King said the House Homeland Security Committee would likely hold hearings on the incident. The Secret Service’s Office of Professional Responsibility will review the incident. So tweeted a female jihadist from Britain, who goes by the Twitter handle @UmmKhattab, and is based in Raqqa, northeast Syria. The threat to England’s prime minister, made on September 7, instantly caught the attention of British anti-terrorist authorities. In August, the Islamic terror threat to Great Britain rose sharply. Reports had surfaced that British-born female jihadis were running a religious police force that punished women for un-Islamic behaviour in territory controlled by the Islamic State of Iraq and Syria (ISIS). As a result, on August 29, Prime Minister David Cameron announced at a press conference thatUnited Kingdom authorities would soon begin revoking the passports of British citizens traveling to Syria. The terror threat level was increased to one below “critical,” the highest alert. British authorities will revoke the passports of British nationals returning from Syria who are believed to have trained in terror camps in preparation for a domestic terror attack. Foreign nationals who have traveled to Syria will be barred from entering the United Kingdom. Security will be increased throughout Britain, especially in its larger cities. This despite the contrary finding by Samuel Huntington, the late political scientist at Harvard University. Meanwhile, in the United States…. “I formally and humbly request to be made a citizen of the Islamic State,” wrote Nidal Hasan in an undated letter addressed to Abu Bakr al-Baghdadi, the leader of ISIS. In 2009, Hassan fatally shot 13 U.S. Army personnel and injured more than 30 others at Fort Hood, Texas. This despite overwhelming evidence that Hassan was motivated by Islamic religious beliefs to turn a FN Five-seven single-action semiautomatic pistol on his fellow soldiers. Among that evidence: Hassan had shouted the Islamic battle cry, “Allah Akbar!” (“God is Great!”) before opening fire. Convicted and sentenced to death, Hassan is incarcerated at the United States Disciplinary Barracks at Fort Leavenworth, Kansas. His case awaits review by appellate courts. Yet his death row status didn’t prevent him from smuggling out a letter to the then-head of ISIS. Great Britain has dared to revoke passports of British citizens who have traveled to Syria. But the United States has yet to do so vis-a-vis its own citizens. Meanwhile, the United States Congress has just voted $500 million in military aid to arm and train “moderate Syrian” rebels–who will supposedly fight ISIS on America’s behalf. This totally ignores the blunt reality that, since 1979, Syria has been designated as a sponsor of terrorism by the U.S. State Department. Among the terrorist groups it supports are Hizbollah and Hamas. For years, Syria provided a safe-house in Damascus to Ilich Ramírez Sánchez–the notorious terrorist better known as Carlos the Jackal. Syrians have never known any other form of government than absolute dictatorship. There are no “freedom-loving Syrians” for the United States to support–only murderers who have long served a tyrant and now wish to become the next tyrant. All-in-all, the future looks better for would-be Islamic conquerors than for those in the United States awaiting the next 9/11. Here are ten excellent reasons for not sending American soldiers to bomb and/or invade Syria. 1. The United States just disengaged from Iraq. On Dec. 15, 2011, the American military formally ended its mission there. The war–begun in 2003–had killed 4,487 service members and wounded another 32,226. 2. The United States is still fighting a brutal war in Afghanistan. By early 2012, the United States had about 90,000 troops in Afghanistan, with 22,000 of them due home by the fall. No schedule has been set for the pace of the withdrawal of the 68,000 American troops who will remain, only that all are to be out by the end of 2016. The initial goal of this war was to destroy Al Qaeda–especially its leader, Osama Bin Laden. But, over time, Washington policy-makers embarked on a “nation-building” effort. That meant trying to turn primitive, xenophobic Afghans into a modern-day, right-supporting people. So the American military wound up occupying the country for the next ten years. This increasingly brought them into conflict with the local population. A series of murderous attacks on American soldiers by their supposed Afghan comrades-in-arms led to the inevitable result: American forces no longer trust their Afghan “allies” to stand shoulder-to-shoulder with them against the Taliban. 3. The war in Iraq fell victim to the law of unintended consequences. This demanded the quick pacification of Iraq. But the Iraqi insurgency totally undermined that goal, forcing U.S. troops to focus all their efforts inward. Another unintended result of the war: Saddam Hussein’s Iraq had been a counter-weight to the regional ambitions of Iran. The destruction of the Iraqi military created a power-vacumn. Into this–eagerly–stepped the Iranian mullahs. 4. Intervening in Syria could produce similar unintended consequences for American forces–and make the United States a target for more Islamic terrorism. American bombs or missiles could land on one or more sites containing stockpiles of chemical weapons. Imagine the international outrage that will result if the release of those weapons kills hundreds or thousands of Syrians. Within the Islamic world, the United States will be seen as waging a war against Islam, and not simply another Islamic dictator. Almost certainly, an American military strike on Syria would lead its dictator, Bashar al-Assad, to attack Israel–perhaps even with chemical weapons. If that happened, the Islamic world–which lusts to destroy Israel more than anything else–would rally to Syria against the United States, Israel’s chief ally. 5. Since 1979, Syria has been listed by the U.S. State Department as a sponsor of terrorism. There are no “good Syrians” for the United States to support–only murderers who have long served a tyrant and now wish to become the next tyrant. Carl von Clausewitz, the Prussian military theorist, wrote: “War is the continuation of state policy by other means.” But President Barack Obama hasn’t stated what he intends gain by attacking Syria. Obama has said he’s “not after regime-change.” If true, that would leave Assad in power–and free to go on killing those who resist his rule. 7. The Assad regime is backed by–among others–the Iranian-supported terrorist group, Hizbollah (Party of God). Its enemies include another terrorist group–Al Qaeda. 8. China and Russia are fully supporting the Assad dictatorship–and the brutalities it commits against its own citizens. This reflects badly on them–not the United States. 9. The United States could find itself in a shooting war with Russia and/or China. The Russians have sent two warships to Syria, in direct response to President Obama’s threat to “punish” Assad for using chemical weapons against unsurgents. 10. While Islamic nations like Syria and Egypt wage war within their own borders, they will lack the resources to launch attacks against the United States. The Tea Party hates President Barack Obama and believes he should be impeached. That you can easily learn by visiting its website. Click here: Teaparty.org — Should Barack Obama be Impeached? But there is a great deal about the Tea Party itself that its foundeers won’t tell you. That was when the Charles and David Koch and tobacco-backed Citizens for a Sound Economy set up the first Tea Party website: www.usteaparty.com. And in 2010 they played a pivotal role in delivering the House of Representatives to the Republican Party. 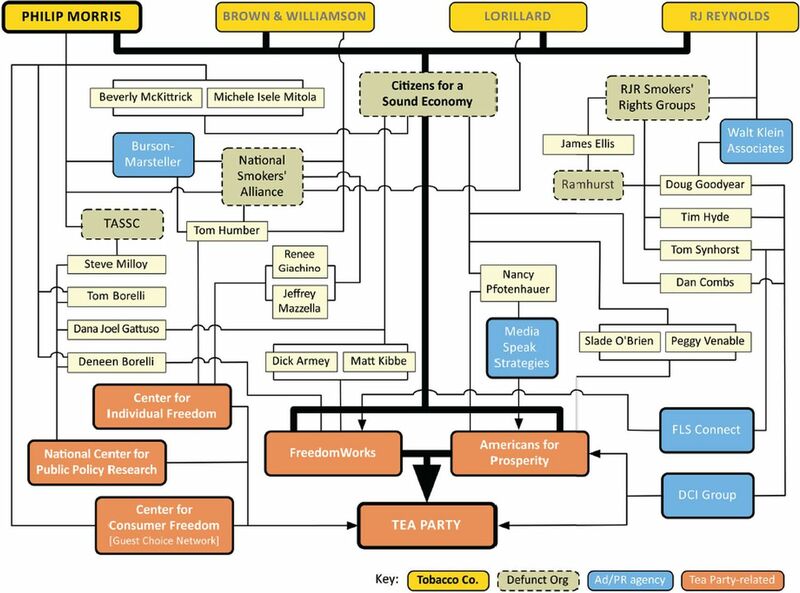 Yet the vast majority of the Tea Party’s low-level membership probably doesn’t know the origins–or the real purposes–of their organization. “Should Barack Obama Be Impeached?” shouts the headline on the Right-wing website of TeaParty.org. “Don’t miss this opportunity to let your voice be heard! The viewer is then given two questions to answer. The website omits a number of truths–about both President Barack Obama and the Tea Party itself. To the dismay of his enemies, Obama–in the course of a single week–dramatically proved the falsity of both charges. While this is true–among those on the Right and Left–it misses the essential legal point: Even if true, “incompetence” is not a legitimate impeachable offense.